This sign is located at N41 51.619 W80 57.112. 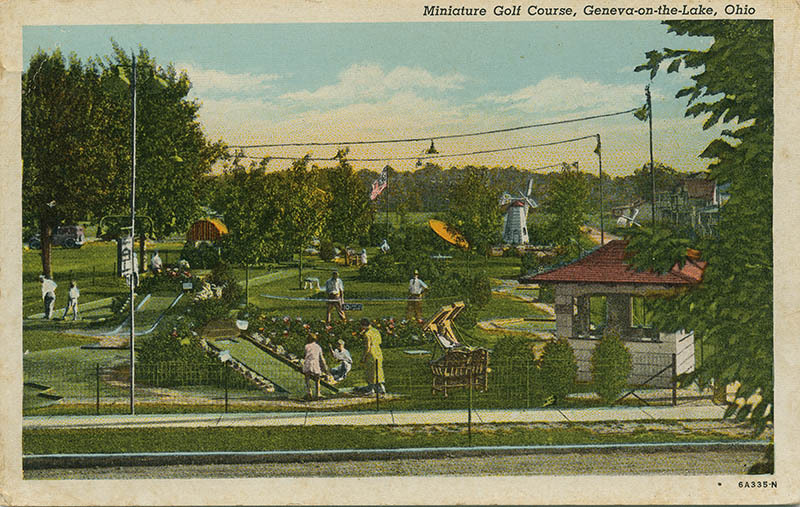 Allison’s Miniature Golf, built in 1924, is advertised as the nation’s oldest miniature golf course in continuous play. The course design was based upon miniature golf courses used in New York, where the courses were being built on the roofs of skyscrapers. Richard Thomas and group of investors owns course in the 1960s and ’70s. 1981: Georgette and Bill Allison purchase the vintage golf course and began renovations.